The most troublesome pests found in home gardens, orchards and landscaped areas across North America. 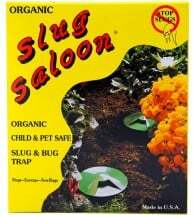 Slugs and snails thrive in damp, shady spots and can often be found along foundations, under rocks or in well mulched garden areas. Most active at night, they feed on a variety of living plants as well as on decaying plant material. Pests chew large holes in foliage and may cause extensive damage to seedlings, tender, low-growing, leafy vegetables and ripening fruit such as strawberries, artichokes and tomatoes. Almost all garden vegetables, ornamental flowers, and some fruit trees, especially citrus are subject to attack. 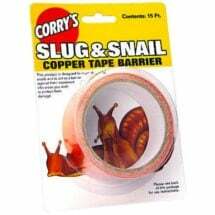 Slugs are not true insects, but rather members of the mollusk phylum. 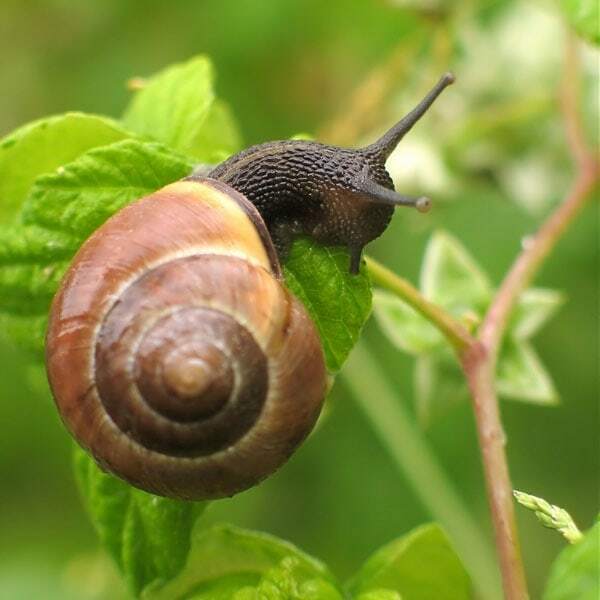 As a result, they are closely related to snails in structure and biology except the snail has a shell and the slug does not. Both garden pests rely on their muscular foot to move and the secretion of mucous or slime on which they glide. This shiny slime trail often gives them away as it marks their travel. Several species overwinter in the soil as adults or nearly mature young. In spring and early summer large numbers of eggs are deposited (as many as 100 at a time) in soil cracks, underneath mulch or dead leaves and in other cool, moist protected areas. Eggs develop and hatch in 1-3 weeks, but may require as long as 12 weeks if conditions are less than perfect. Once hatched, the young mollusks remain close to the nest for several days until branching out in search of food. Development to maturity may take as little as 3 to 6 months or as long as a year or more depending on species. Note: Slugs are hermaphrodites, which means that they each possess both male and female sexual organs and have the potential to lay eggs. Remove debris, bricks, lumber and weeds from all growing areas and do not apply heavy layers of mulch around plants (1-3 inches is plenty). Handpicking pests can make a sizable dent in the population and is most productive in the evening, two hours after sunset. If handpicking is inconvenient, try trapping. Strips of cardboard, cabbage leaves, rocks or plywood all make excellent traps for daytime collecting. Shallow pans of stale beer sunk into the soil can also be used. The yeast in the beer attracts these pests, which fall in and drown. For best results, replace beer every few days or after a rain. 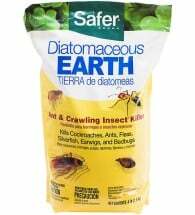 Copper Tape and diatomaceous earth are popular barriers that prevent pests from reaching the leaves, fruits and flowers on which they feed. Broadcast weather-resistant boric acid granules around flower gardens, groundcovers and ornamentals to eliminate pests. Reapply every four weeks, as needed. 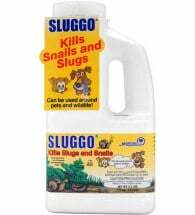 Sluggo is an organic bait, containing iron phosphate, that can be scattered on the lawn or on the soil around any vegetables, flowers, fruit trees or bushes to reduce pest numbers. Tip: Water in the early morning instead of at night. Researchers found lettuce consumption with morning watering was less than 1/5 of the consumption with evening watering. 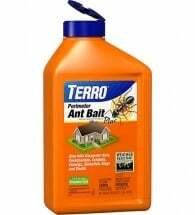 Weather resistant granules get rid of the creepy crawlies before they come inside.